Appeared in the "Photoreporter" section of GEO France, April 2015. Photo of Zojila Pass leading from Ladakh in Kashmir, India by Blaine Harrington III. 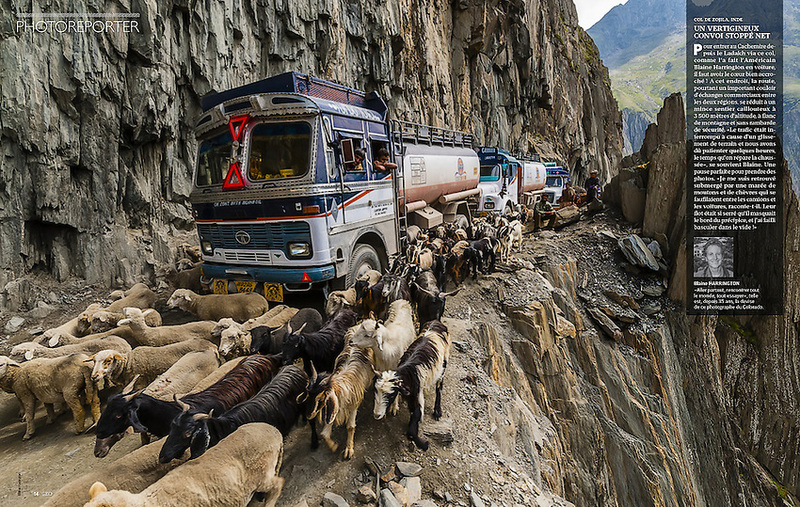 Zojila Pass, rockslide, rock slide, truck, lorry, goats, sheep, India, Asia, Kashmir, Ladakh, Blaine Harrington III, Geo France, Geo Magazine, French GEO.